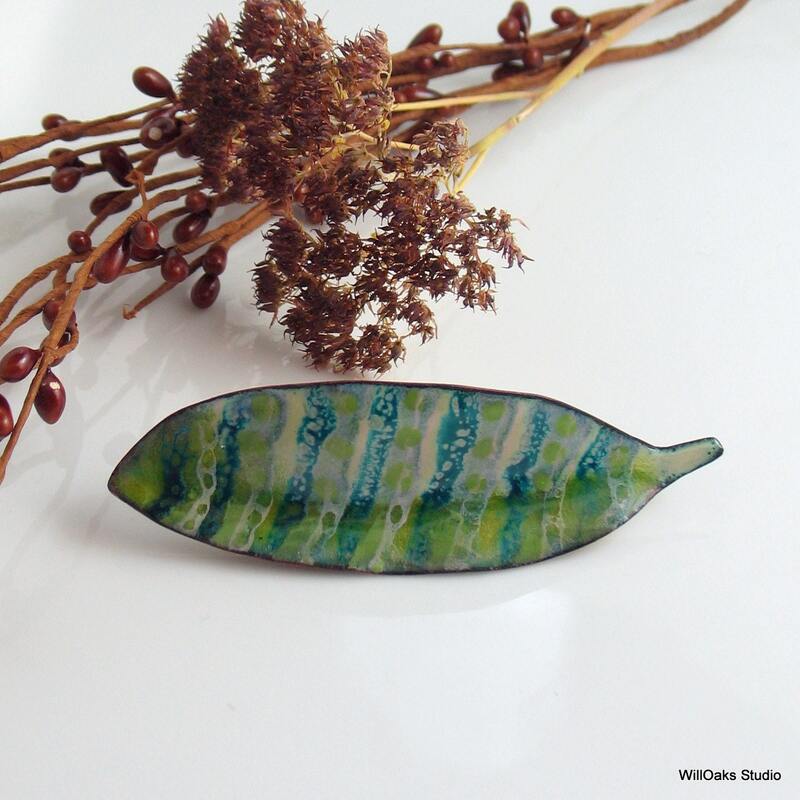 A long leaf or feather shaped brooch with bold stripes in shades of green & teal. 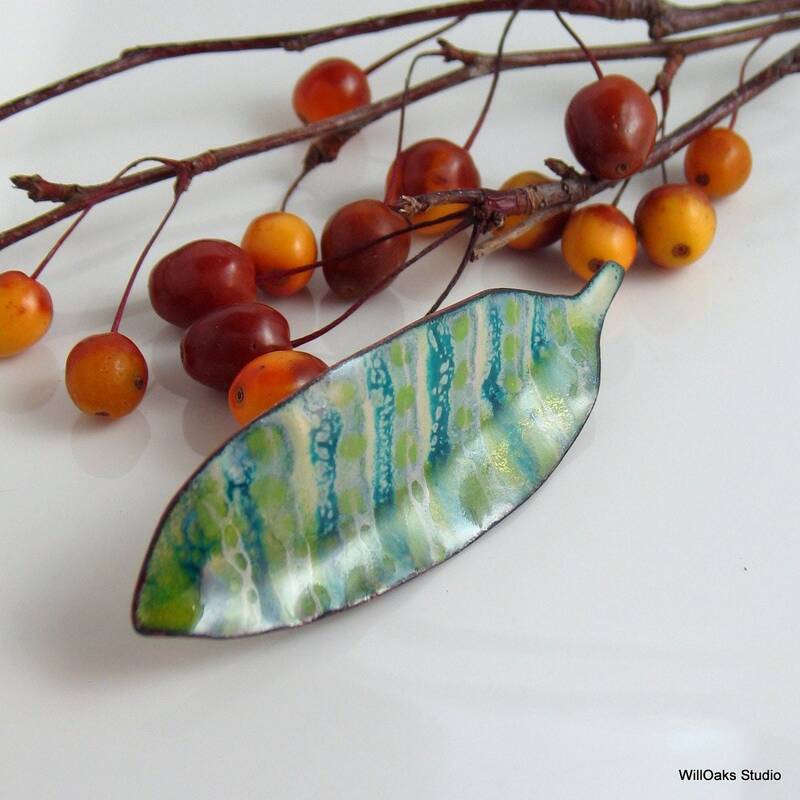 This original pin was formed from hand cut and shaped copper and coated with many layers vitreous enamel under high heat in a kiln. 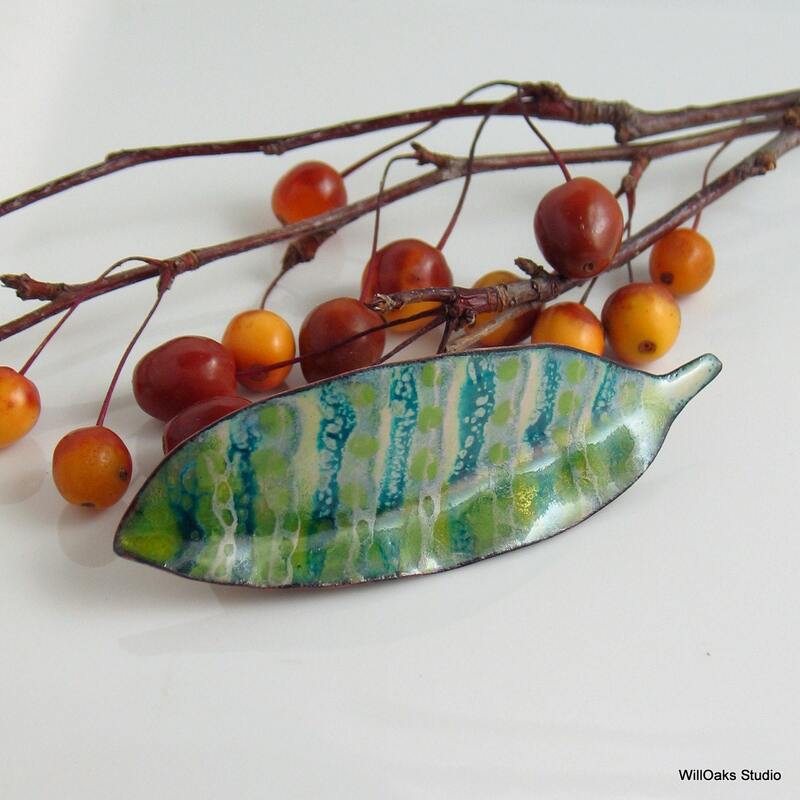 My experimental enamel patterns were created as layer after layer of glass was added. 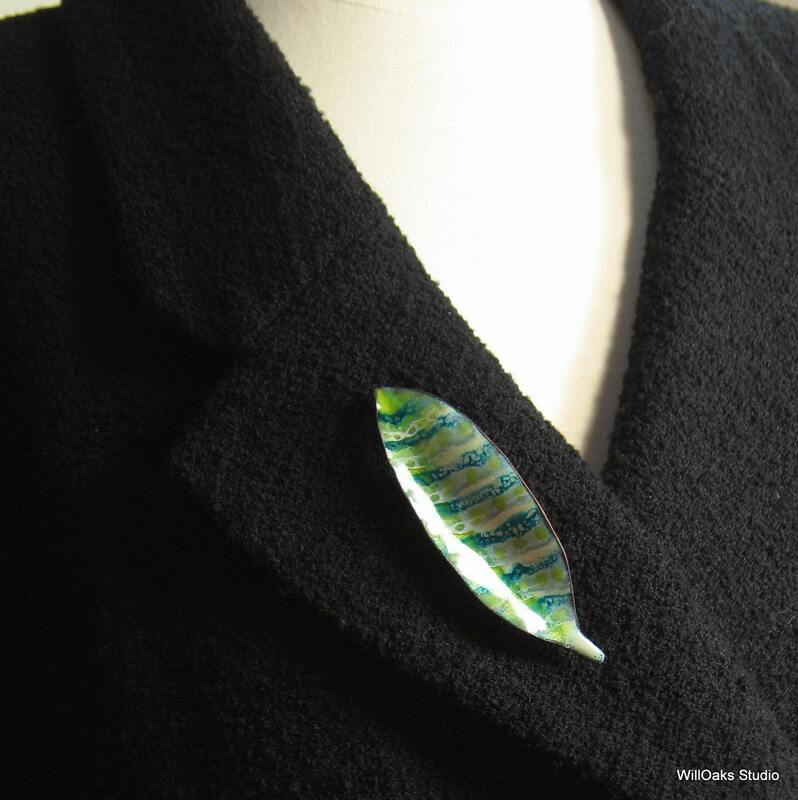 The long striped feather pin is one of a kind. It is a piece of art jewelry inspired by nature. 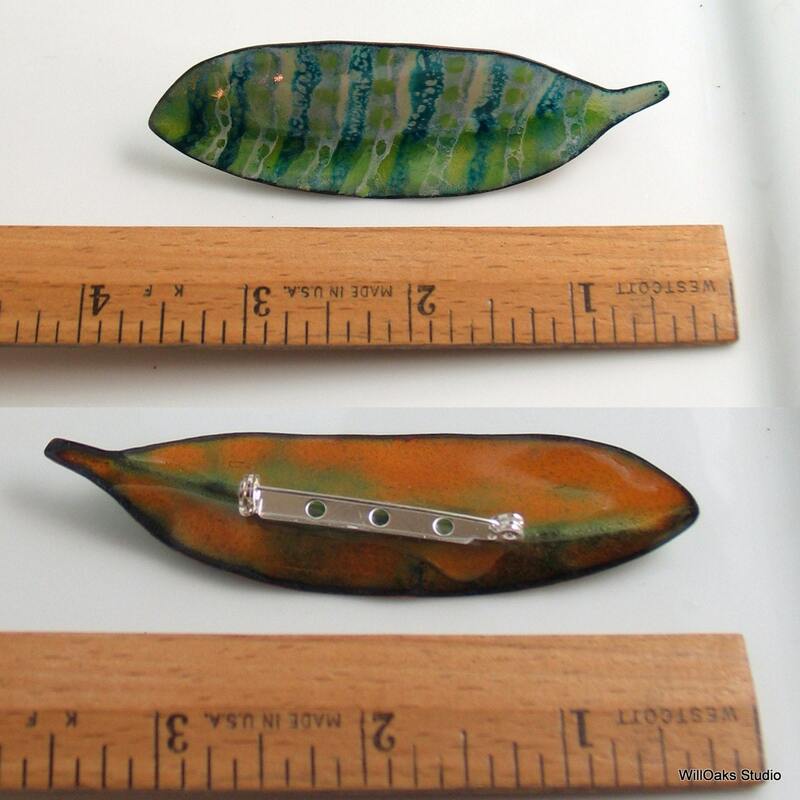 Pin measures about 3 5/8" (92 mm) long and about 1 1/8" (28 mm) wide at the widest. Presented in my signature box & ready to gift. Glass or Vitreous enamels are bonded to the copper in a kiln at temperatures between 1450F-1500F for a permanent durable finished material that will not fade, bleed or change. As illustrated above, a steel pin is epoxied to the back & includes a safety clasp. Please keep in mind that monitors and screens may show different colors from the objects themselves. I use a macro lens for close up details, please refer to scale in photos and sizes listed in the description. Please drop me a note if you have any questions!